How long should they last before an appliance repair or replacement? Appliances are costly to replace and when one is on the fritz, or worse — a handful of them — it can make everyday life extremely inconvenient. When you are armed with the knowledge to replace or fix an appliance, it may make the decision process a little easier when you know their life expectancy. At Air Nation, we not only provide the leading HVAC services in Deltona, but we also offer all major appliance repair. 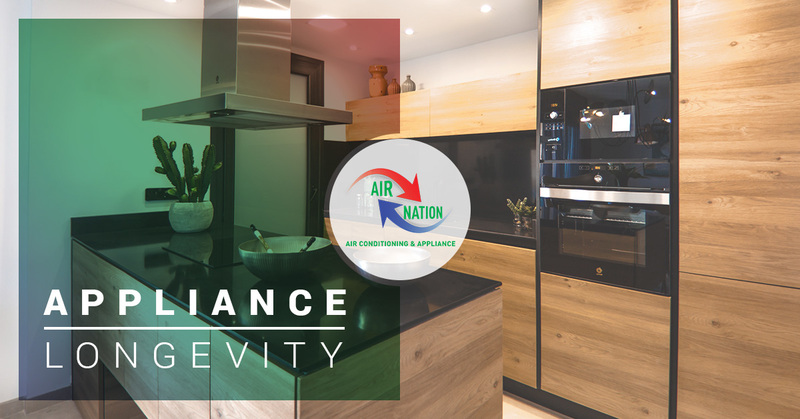 Join us in today’s post as we navigate appliance longevity. Appliance repair is inevitable — appliances incur wear and tear, get tired, and eventually require repair — but if you can get a longer life while putting off repair, you can save money and avoid appliance replacement. Some people love to shop around for the best appliance deal that is budget-friendly, and while this isn’t a terrible thing, sometimes it can cost you more money in the long-run. You may get a smoking deal, but its life-expectancy may give way far before its competitors. You then get into a cycle of constantly replacing your appliances — this wastes money and isn’t eco-friendly. When you make more of an investment on higher-quality, better-rated products they typically tend to last longer. There is a fine balance between just one appliance repair and a whole host of them — sometimes replacing them is a better option. Talk with appliance experts to get the best situation for your budget. You also have to consider the appliance installation labor and product cost with regular appliance maintenance. If you are ever wondering how long appliances last, read below for their average life expectancies. When you buy an appliance and it is having issues before their average life-cycle is up, an appliance repair is a good option. One of your best options as a consumer is to buy a high-quality appliance and establish a good partnership with a local appliance repair company. It has been established that buying higher quality appliances may save you less repair and replacement costs over time, but how do you know an appliance is highly rated? You know who gives honest reviews (hint: it is not Yelp)? The people in your circle — your next-door neighbor, your hairdresser, your friend on your sports league — they won’t hold back. When you talk to a handful of people, you will learn what companies to look for and which ones to avoid. Don’t buy on a whim. Although you may find your dream dryer at the first store, whatever you do, avoid an impulse buy. A showroom does an excellent job of beefing up the product — energy efficiency? Check. Accommodates extra large loads? Check. You get the point. Take a picture of its features and move on so you can compare different brands and prices. If you eat out for almost every meal of the day, there is no need to buy a high-end gas range complete with a vented hood. Similarly, if you are single or in a partnership, an extra-large washing machine isn’t relevant — even if it is on a great sale! Some homes are oddly shaped or planned out, which makes getting any large appliance indoors a feat in physics. And, if you do make it past the front door, make sure it fits in its determined space. Again, appliance repairs will need to happen — it is unavoidable. Arm yourself with what the specs state and do a little research into their longevity. 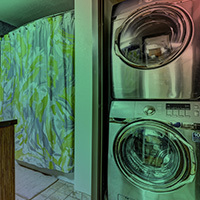 Shop for appliances with a longer life expectancy, even if they are a little more expensive. Once you have an idea of how long they will last, expect to make repairs between now and that time-frame. Schedule your appliance repair with us today!